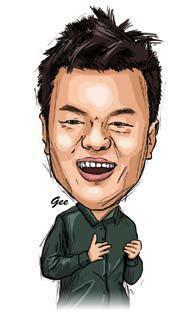 Park Jin-young, singer, and main producer and head of entertainment giant JYP Entertainment, ranked No. 1 in music copyright earnings in 2013 for the third consecutive year. Park earned the most in copyright royalties as a songwriter-producer in 2013, according to the 2013 Music Copyright Total Earnings report released by the Korea Music Copyright Association on Tuesday. With a net profit of 1.2 billion won ($1.2 million) in 2013, Park topped the list of copyright earners each year since 2011. However, his copyright profit dropped by roughly 1.6 million won from 2012, when he earned 1.3 billion won. According to the report, composer Cho Young-su took in the second-largest earnings at about 970 million won in 2013, followed by YG’s head producer Teddy at 940 million won, SM’s Yoo Young-jin at 830 million won and Big Bang’s G-Dragon at 790 million won. Over the years, Park has produced approximately 50 hit singles for many JYP artists including Rain, 2PM, 2AM, Wonder Girls, Miss A and GOT7. The singles have topped music charts on and off in Asia. Park has also participated in producing albums for a number of foreign acts including Japanese boy group SMAP, China-based F4 and Jacky Cheung, as well as U.S. celebrities Will Smith, Mase and Cassie Ventura.